Classic Ladies leather slip on Van Dal shoe. Sizes 3-8 Inc Half Sizes. 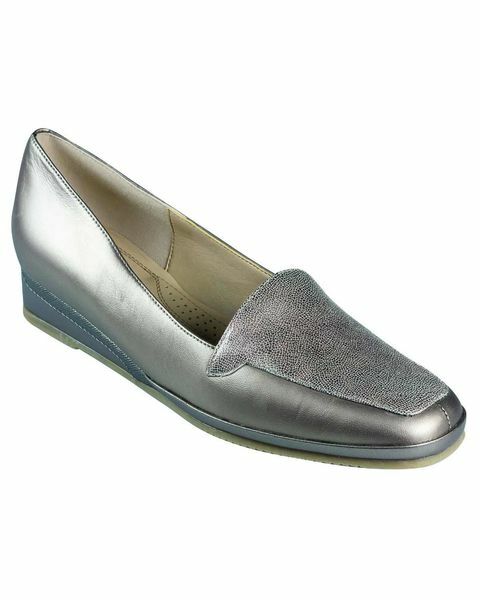 Ladies distinctive soft leather slip on shoe, is an elegant way to finish of your outfit. With contrasting front detail and 1½“ heel featuring rubber sole for added grip. D fitting.